Looking for a super sweet but REALLY cheap (actually, free!) stocking stuffer idea? 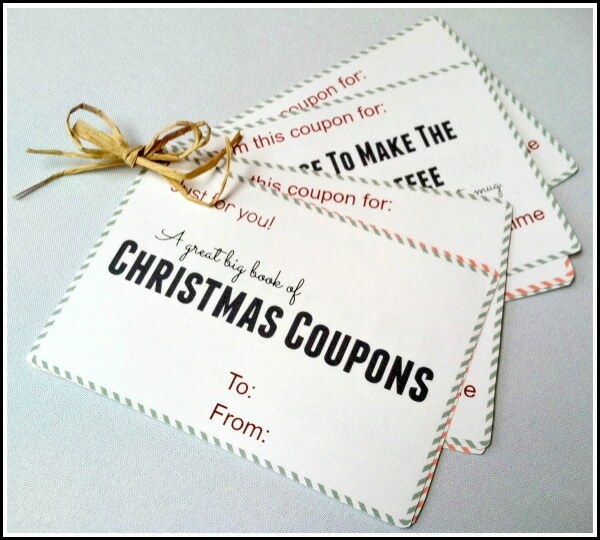 If so, you can head over to Cross Country Cafe to download a FREE Printable Christmas Coupon Book! Simply save the coupons to your computer and you can print out as few or as many as you like. Coupons include breakfast in bed, one movie night, a promise to take out the trash and more.